Marketing Plan – Marketing Plan Template – Marketing Plan Sample – Marketing Plan is a document outlining company’s plans and course of action regarding advertising and product promotion. 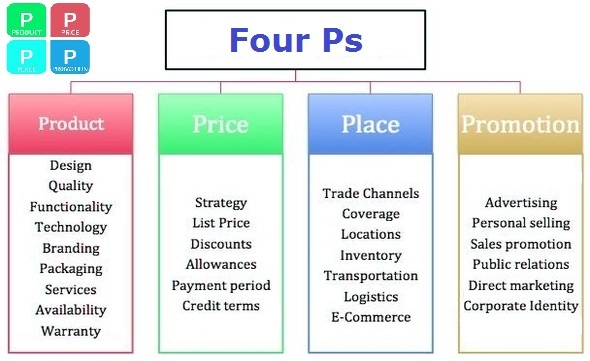 The plan usually addresses each of the components of the 4Ps of marketing, specifying what the place, promotion, price for a given product will be. 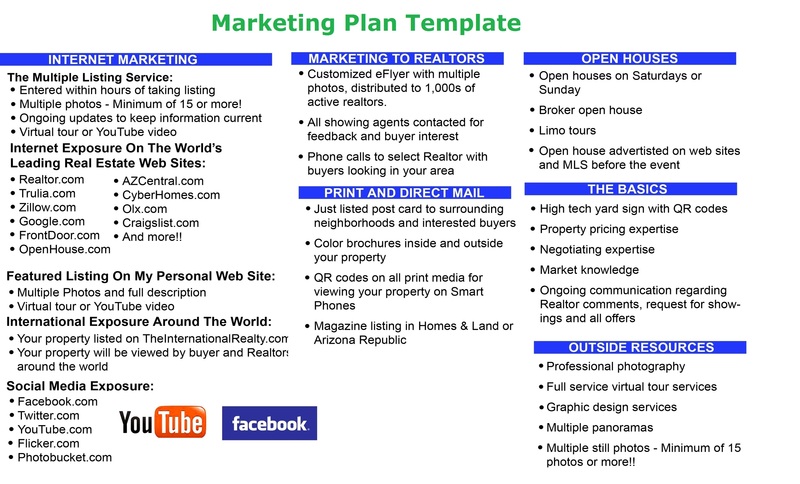 Below is a sample marketing plan template that identifies different channels for a real estate company advertising including internet marketing, direct mail, open houses (i.e. physical advertising) and other channels. Marketing plans also include specifics on how each of the channels will help promote the product. Marketing Plan - this diagram visually depicts one of the common business frameworks, used by leaders to develop company strategy, tactics, models and approaches. Marketing Mix - this diagram visually depicts one of the common business frameworks, used by leaders to develop company strategy, tactics, models and approaches. 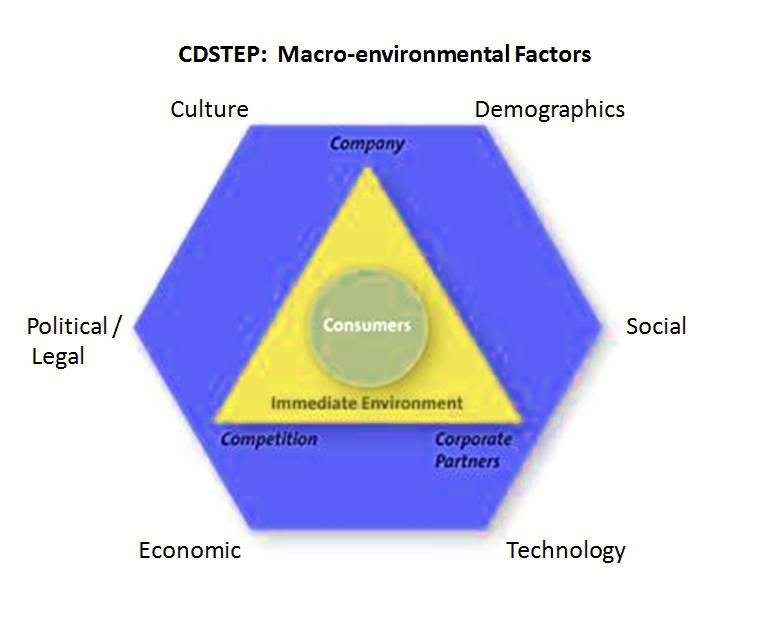 CDSTEP – CDSTEP Marketing Diagram – Cdstep Marketing Analysis – Cdstep Marketing Framework – Cdstep Marketing Business Methodology – Cdstep Marketing model is a marketing tool that shows various components of marketing including immediate environment such as customers, company, competitors and outside environment. The outside environment includes the following macro environmental factors: demographics, culture, social, legal, political, technology and economic environments. Essentially, cdstep is showing that marketing is more than just communication of a product to a consumer, it is very much dependent on the surrounding environment. Below is the cdstep marketing strategy diagram. CDSTEP Marketing Diagram - this diagram visually depicts one of the common business frameworks, used by leaders to develop company strategy, tactics, models and approaches. Customer Lifecycle – Customer Life Cycle – Customer Lifecycle Analysis – Customer Lifecycle Framework – Customer Lifecycle Business Methodology – Client Lifecycle model is a key business strategy tool that shows the customer loop from the very initiation through purchase to advocacy. The importance of this framework is in the fact that the client goes through a number of stages and a business needs to be aware of these lifecycle stages and travel with the customer at each phase. There should be a tactic or a strategy for each of the customer phases that a company needs to think of. Below sample Customer Life cycle chart is a useful business management tool. The stages include: awareness, knowledge, consideration, selection, buying, satisfaction, loyalty and advocacy. Customer Lifecycle - this diagram visually depicts one of the common business frameworks, used by leaders to develop company strategy, tactics, models and approaches. 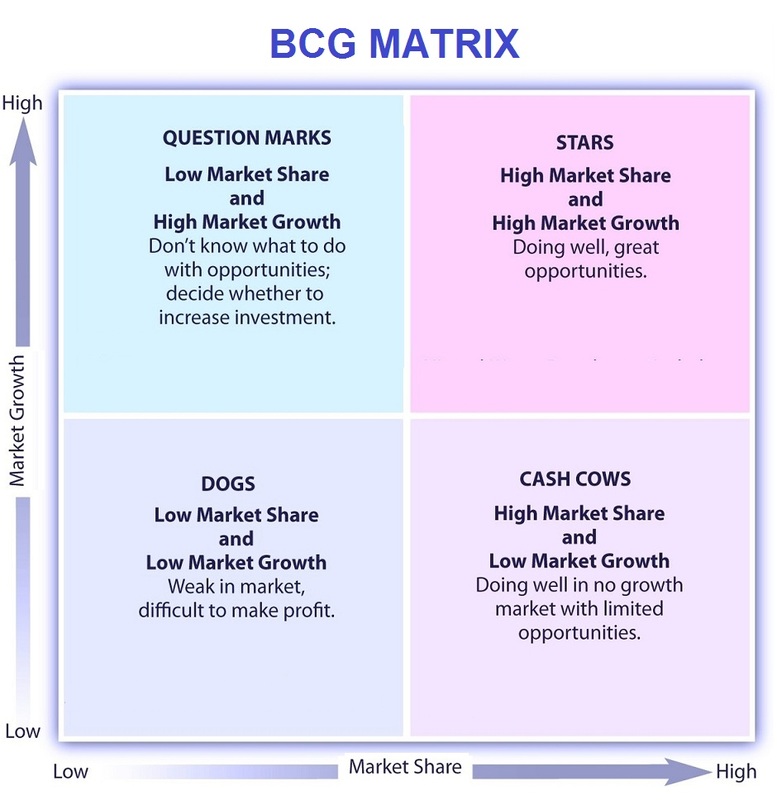 BCG Matrix - this diagram visually depicts one of the common business frameworks, used by leaders to develop company strategy, tactics, models and approaches.